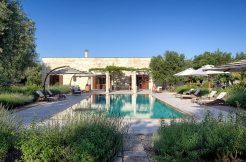 Treat yourself to a relaxing massage or some beauty treatments in Puglia, all at your holiday villa. You know you deserve it. Visit the pretty little town of Terme Sante Cesarea not far from your villa and indulge yourself at the spa.